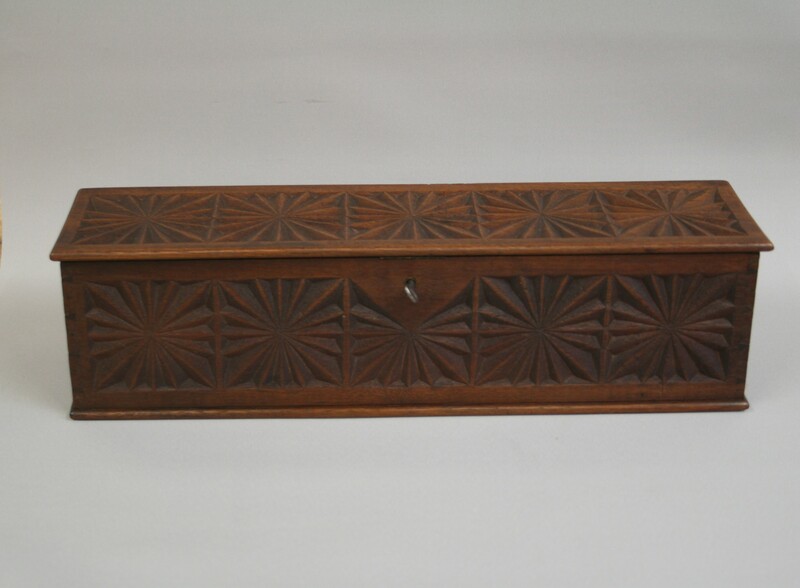 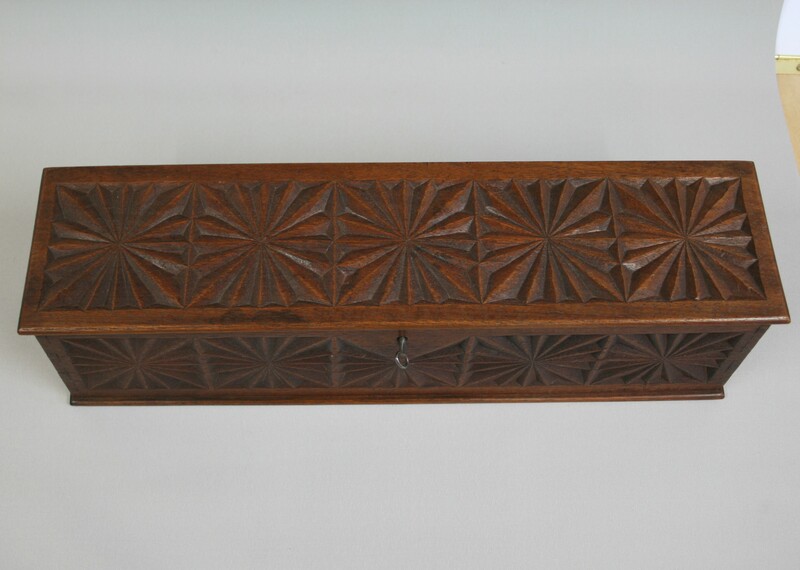 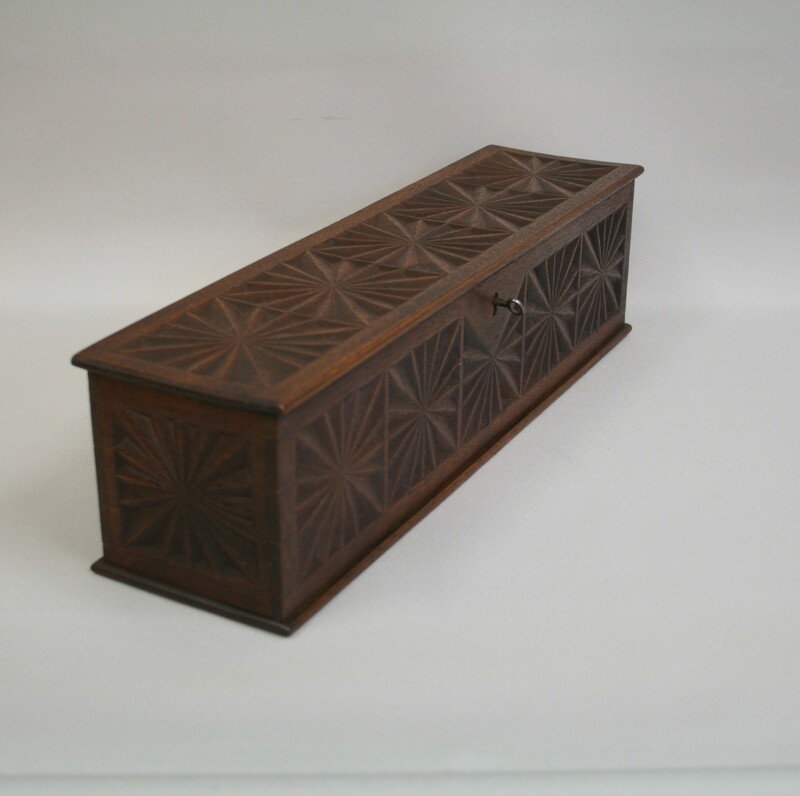 An American black walnut decorative candle box. 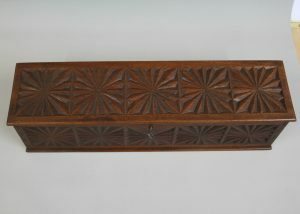 It has a carved star burst design to all faces. 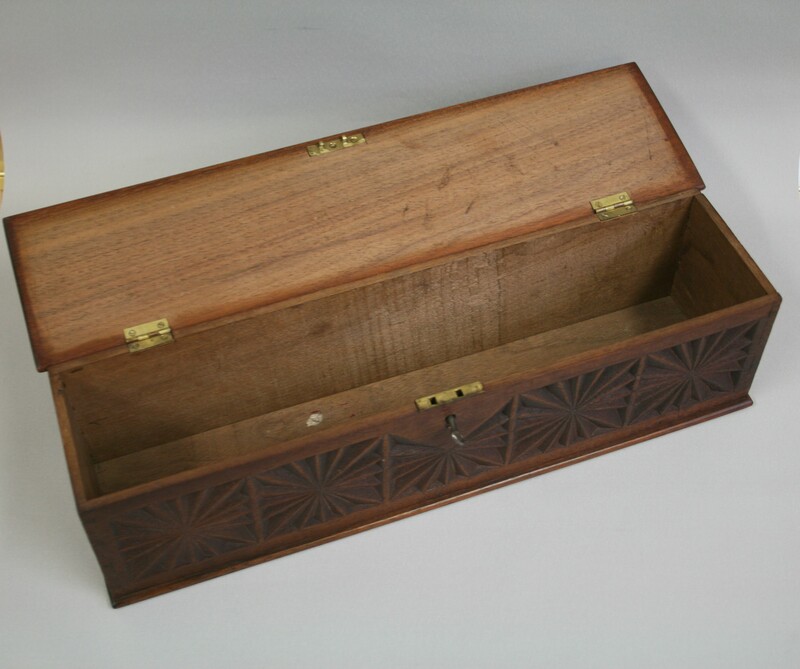 It has a working lock and key.